I would never in a million years think about creating an entire Japanese lunch in a Bento Box. It screams complicated, does it not? However, break all of the components down into simple steps and it’s not at all difficult. Admittedly, I had a properly brilliant chef doing most of the work, but still… I’ll definitely be attempting this at home. 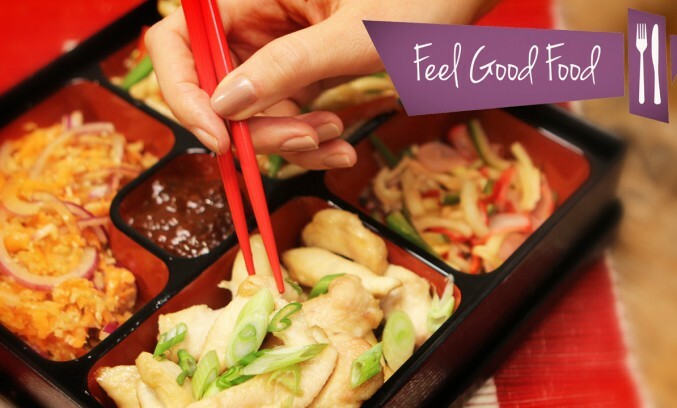 This is another episode from the Feel Good Food videos that I filmed for Body Talk TV. I think this is my favourite, actually, which is weird considering that I’m not really that “into” Japanese food! I don’t mind it, but it wouldn’t be at the top of my list by any means. This little selection of dishes was absolutely delicious though, and if you don’t particularly like sushi then some of these would make a great alternative. OK, here goes – usual rubbishy WordPress/Youtube issues apply – if you can’t see the video pane then please click here!